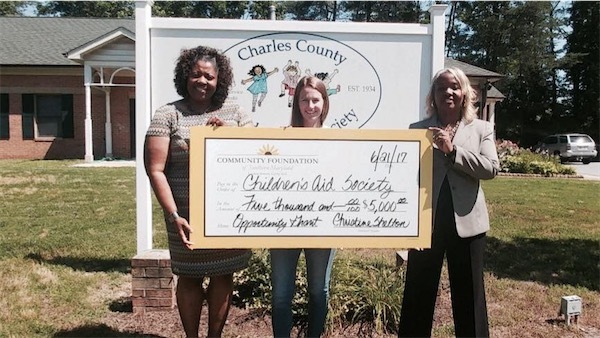 The Charles County Children’s Aid Society, which received $5,000 to support their 2017 School Supplies Project. This will ensure that children going to Charles County Public Schools have the tools to start off their school year right. 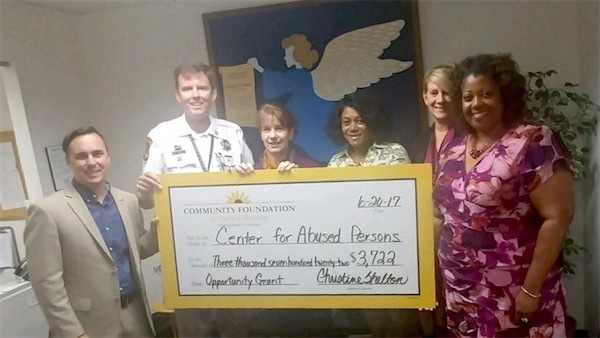 The Center for Abused Persons, which received $3,722 which will allow them to begin a new community education poster campaign in Charles County! 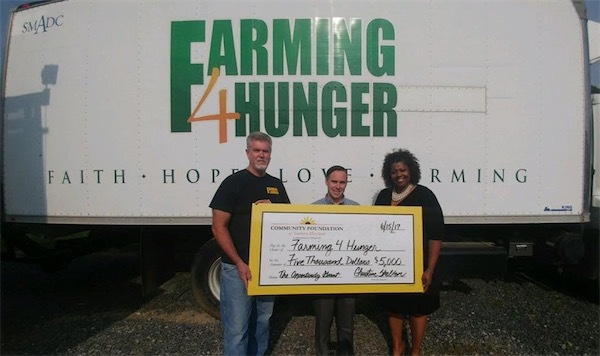 Farming 4 Hunger Inc., which received $5,000 to expand their drug awareness, health and criminal justice prevention youth initiative to the Charles County Public Schools. 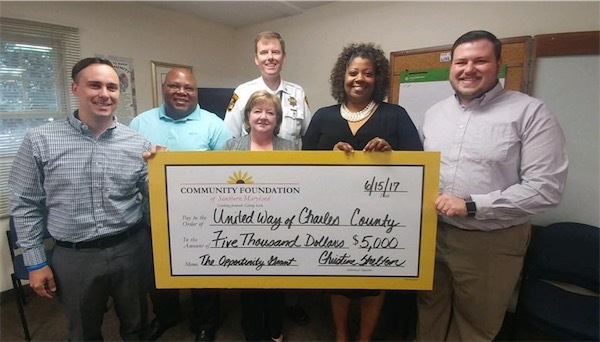 The United Way of Charles County, which received $5,000 to combat childhood obesity and to promote healthy nutrition and exercise in families in Charles County. The Opportunity Fund Grant Program provides resources to address health and wellness needs of Charles County residents. Monetary grants of up to $5,000 are available to 501(c)(3) organizations, religious charities, and government agencies that provide drug rehabilitation, emotional rehabilitation, domestic violence, and youth wellness services to Charles County residents. For more information about applying for an Opportunity Grant, including deadlines, criteria, and documentation, visit the Opportunity Grant Fund page.